Red Bull Racing and Infiniti’s Team Partnership has been extended with an increased multi-year agreement between RBR and the luxury automotive brand from Japan. The deal involves more branding, both on the cars as well as on the drivers' overalls as of 2012. 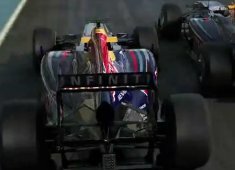 "From 2012, Infiniti branding will feature more prominently on Red Bull Racing’s Formula One cars – the RB8 – with enhanced logos on the side of the chassis and the top of the cockpit. The Infiniti name and logo will also be displayed on new areas of the drivers’ overalls, as well as on team equipment. This accelerated program, just seven months after the original partnership was announced, demonstrates Infiniti’s shared vision with Red Bull Racing and works streams are already in place to develop the partnership into a technical collaboration."